Home Soccer Guedes: "We surprised them in the spaces and defined them well"
Guedes: "We surprised them in the spaces and defined them well"
Guedes and Neto, two of the protagonists of the triumph of Valencia, emphasize that the tie is not yet resolved "because in football anything can happen". 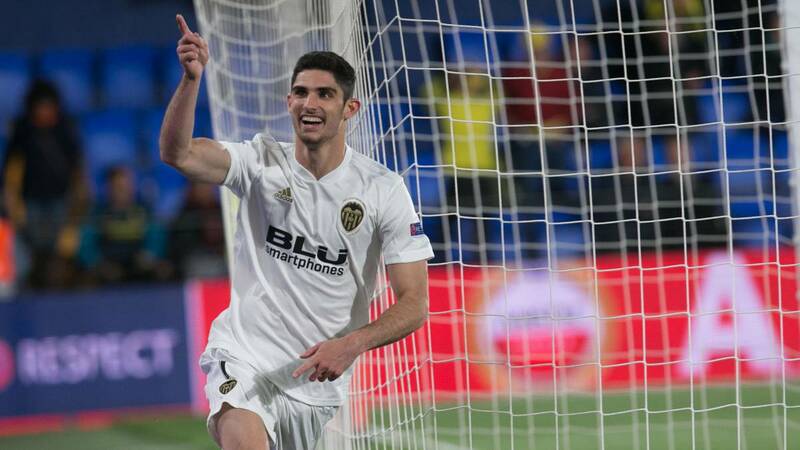 Guedes was the protagonist of the match with his two goals. The Portuguese, who now has five in the last month, opened and closed the score at the Ceramics Stadium. These were his reflections in the Movistar microphone. Result: "It was very good, we knew it was going to be difficult, we knew his strengths and that we would have options on the counterattack. Merecido:" I think we played a great game. We have surprised them in the spaces and defined them well. I think the victory is just. " A first goal:" I'm always confident. I thought Parejo was going to score. But it's football and you have to be attentive. The ball came to me and I was fast ". Eliminatoria:" I think it is not resolved yet. Villarreal is a strong team and will try to overcome in Mestalla. We have to be concentrated there, that's the only way we'll pass. " Neto:" I'm happy for the victory, not for my stops "
" It was a complicated game. Villarreal is competitive. This result gives us a lot of confidence to continue towards our goal. We all try to help and I leave happy for the victory and the commitment of the companions. In competitions like that you can not trust. Football is a sport that can go through all, although this result gives us confidence ".